Kick back and relax on the deck overlooking Monroe Bay or in air-conditioned comfort with a few good friends. 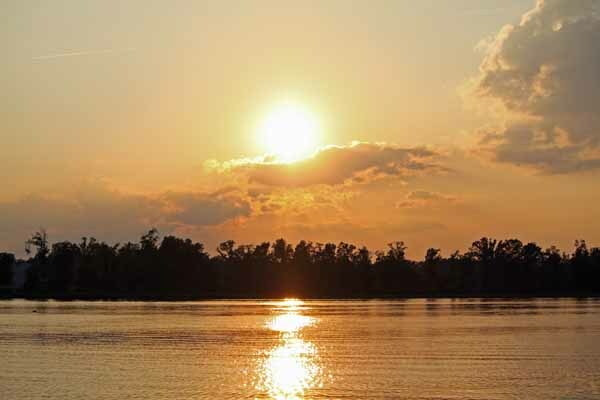 Either way you'll have a front row seat for watching everything from bald eagles to the most amazing sunsets in Virginia! 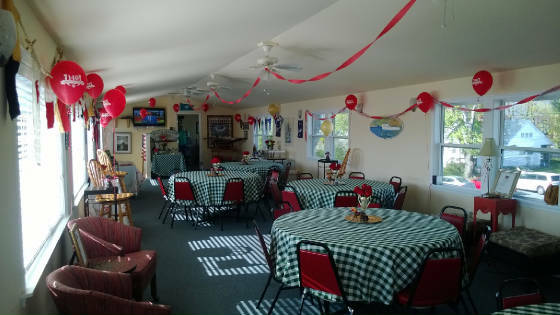 The Quarterdeck Lounge is available for any special occasion and can accommodate 55 of your closest family and friends. It offers you a place to come in from the summer heat to meet with friends, watch your favorite football game in the fall, or curl up in the afternoon with a good book. 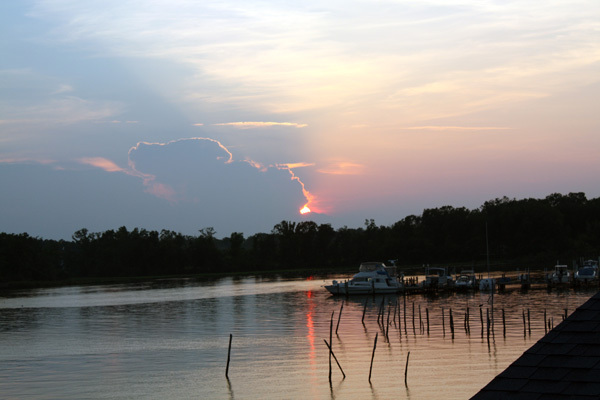 No two sunsets on Monroe Bay are alike. You won't believe you're not in the Keys! The Quarterdeck Lounge is available for a wedding reception, birthday party, anniversary, or any event that you consider special. Catering can be arranged with the Lighthouse Restaurant. Contact us at 804-224-7570 or 703-853-8191 for rates and availability.